MANILA - The superior of a priest who was allegedly caught bringing a 13-year-old girl into a motel urged the faithful on Saturday to "pray that the truth may come out." Police have filed a human trafficking complaint against Msgr. Arnel Fuentes Lagarejos, 55, who was arrested in an entrapment in Marikina City late Friday. "Let us refrain from issuing unnecessary comments that might worsen the situation," Antipolo Bishop Francisco de Leon said in a statement. 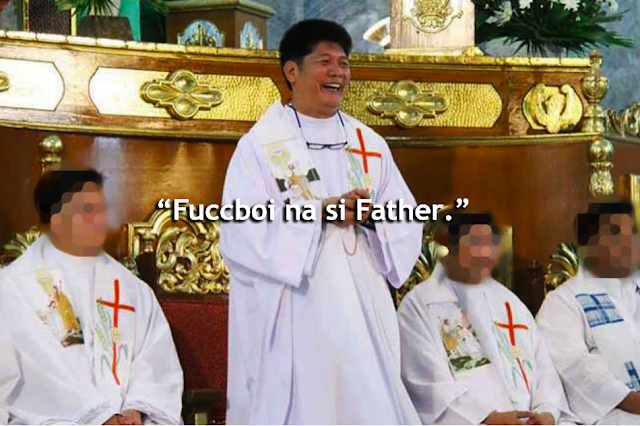 "The Diocese of Antipolo is looking into the matter involving the arrest of Msgr. Arnel Fuentes Lagarejos as allegedly identified as a suspect in an entrapment operation in Marikina City," he said. The priest allegedly arranged for a night with the girl through pimp on social media, according to police.